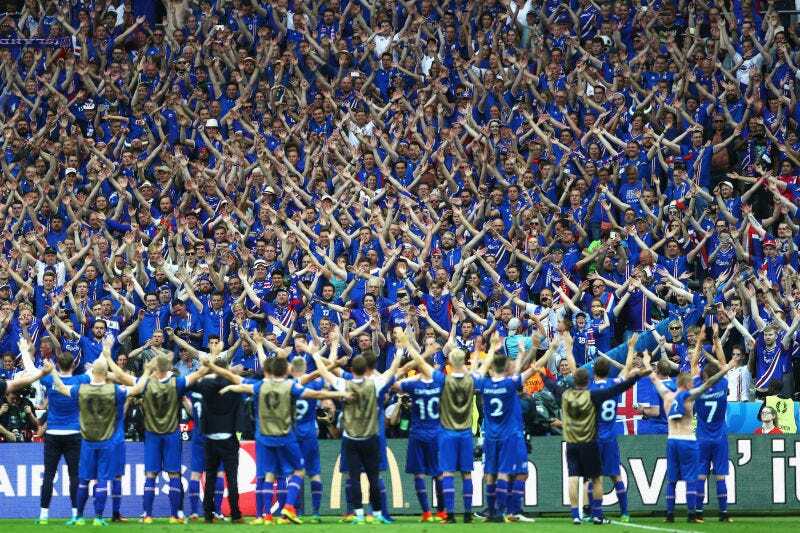 Iceland, whose fairy-tale trip to the business end of Euro 2016 was one of the tournament’s highlights, should be in this year’s edition of FIFA. But they’re not, following a dispute with EA over how much Iceland’s football association would be paid for the team’s rights. While the tiny nation had never actually been in a FIFA game before, the team’s explosion in popularity following their Euro exploits led EA Sports to enter negotiations with Knattspyrnusamband Íslands (KSI, or The Football Association of Iceland) for the side’s rights. The BBC reports, though, that EA’s offer of $15,000 (no, I did not leave any zeros off) was “below their expectations”. “I really feel if we are giving away rights, or offering rights, it has to be proper negotiations and fair fees,” KSI president Geir Thorsteinsson told the BBC. Interestingly, EA announced on September 12 that Iceland’s now-famous “Viking Clap” victory celebration would be in the game via a tweet. In the wake of this disagreement, that tweet has now been deleted. Note that while some international teams are present in FIFA 17 without a national license (meaning they appear without their official logo and team kit), Iceland are simply not in the game at all. (If for whatever reason you’re interested in sports rights vs video games, check out this dumbass list of review restrictions accompanying PES 2016, as well as a comment below it about how EA has had to handle Madden athletes). We contacted EA Sports for comment.